How much car accident insurance do you need in Massachusetts? Understanding your automobile accident insurance options. In Massachusetts all vehicles are required to have certain minimum insurance coverage known as compulsory coverage for bodily injury liability, personal injury protection (PIP), uninsured motorist protection and property damage liability. Unfortunately the compulsory coverage is minimal and often will not be sufficient to pay for serious bodily injuries or property damage caused by a car accident. A good investment is to purchase optional Uninsured and Under Insured Motorist Coverage on your own vehicle. The additional premiums are relatively small and your insurance policy will pay you for your damages including bodily injuries, lost wages, medical bills and pain and suffering which is not fully compensated by the other party’s insurance. According to the Insurance Research Council approximately one in seven of all U.S. drivers have no automobile insurance. New Hampshire does not require its drivers to have any compulsory liability insurance. Imagine if you are struck by an uninsured vehicle causing death or serious injury to you or a family member, you will not recover from the vehicle at fault and will have to rely upon your own auto policy to compensate your damages. The additional cost to increase your uninsured coverage from the compulsory up to $250,000.00 is approximately $15.00 per year-that is a small price to pay. Optional Underinsured coverage kicks in when the vehicle at fault has inadequate liability insurance to pay the full measure of your damages - bodily injury, medical bills, lost wages and pain and suffering. If you have optional Under Insured Coverage your policy will pay the full amount of your damages up to your policy limits less the amount collected from the other vehicle. The additional cost to increase your uninsured coverage to $250,000.00 is approximately $75.00 per year. Your Bodily Injury Liability coverage on your automobile policy will protect your personal assets from a claim of damages by someone injured due to your fault in the operation of your vehicle. As a general rule, it makes good financial sense to have an amount of Bodily Injury Liability coverage roughly equal to your amount of total assets, including the equity in your home, car, savings and investments. In order to reduce your overall premiums, you should consider choosing the highest deductible you can afford on the comprehensive and collision. This coverage can be expensive especially on newer vehicles, and there can be substantial savings with a higher deductible. Also, make sure to check with the insurance company that you are receiving all available discounts for safe driver, car alarm, low miles travelled, and also multiple policy discounts if you insure more than one car or your home with the same insurance company. Massachusetts in recent years has price competition between car insurance companies and so it definitely pays to get several quotes for the same policy. You can go to www.insurance.com or www.aaa.com/AutoInsurance in order to get quote comparisons. Jonathan D. Light, P.C. has represented individuals and their families who have been seriously or fatally injured from another's negligence or recklessness. 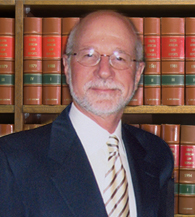 He has more than 35 years of experience securing favorable settlements and awards on behalf of his clients. Jon Light has been recognized by his peers for his exceptional legal ability and high ethical standards. He has been awarded the prestigious AV® Preeminent™ Peer Review RatingSM from Martindale-Hubbell®, which is the highest rating for legal ability and ethical standards via a strenuous peer review process. If you have been injured or lost a loved one in a car, truck, motorcycle, pedestrian or bicycle accident, call 617-245-0220 or email the Boston auto accident law firm of Jonathan D. Light, P.C. to schedule your free initial consultation. The firm serves clients in Boston and throughout Massachusetts.